16’ 4” long, with 7’ beam. 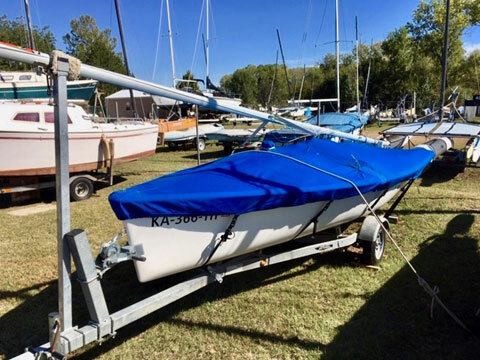 Brand new (never used) sails. Originals in good shape included. 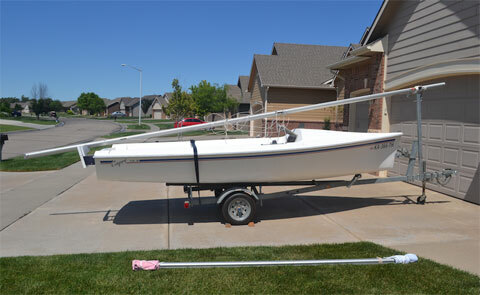 New mast, side stays, furling line. 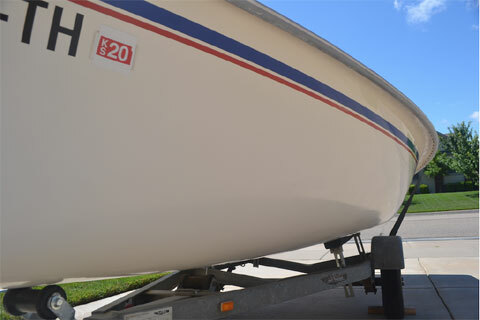 2 rudders with tiller extensions. 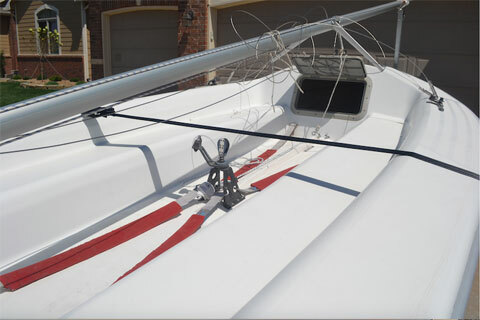 Custom Sunbrella cover can be used with mast up or down. 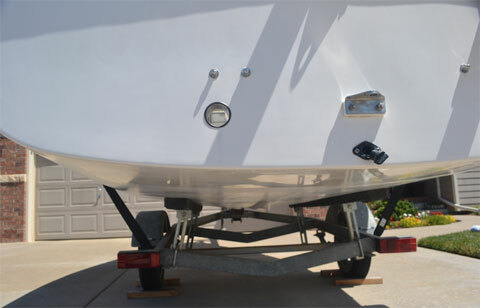 Bottom repair professionally done, and hull does not leak. Galvanized trailer with 2” coupler, new tires, working lights, good bearings/Bearing Buddies, bunks, and tongue jack.